Bucket List #19: Done. Check. Anyone who knows me well — knows my fascination with all things Sci-Fi/Fantasy. I know, it’s funny, odd even — but either way, it’s always been my quirky little cool thing that I’ve kept close to the vest! And so one of my “dreams” — bucket list items if you will — was always to play a Superhero on film or TV. Well, I’m telling you, I never thought it would happen, but it did! 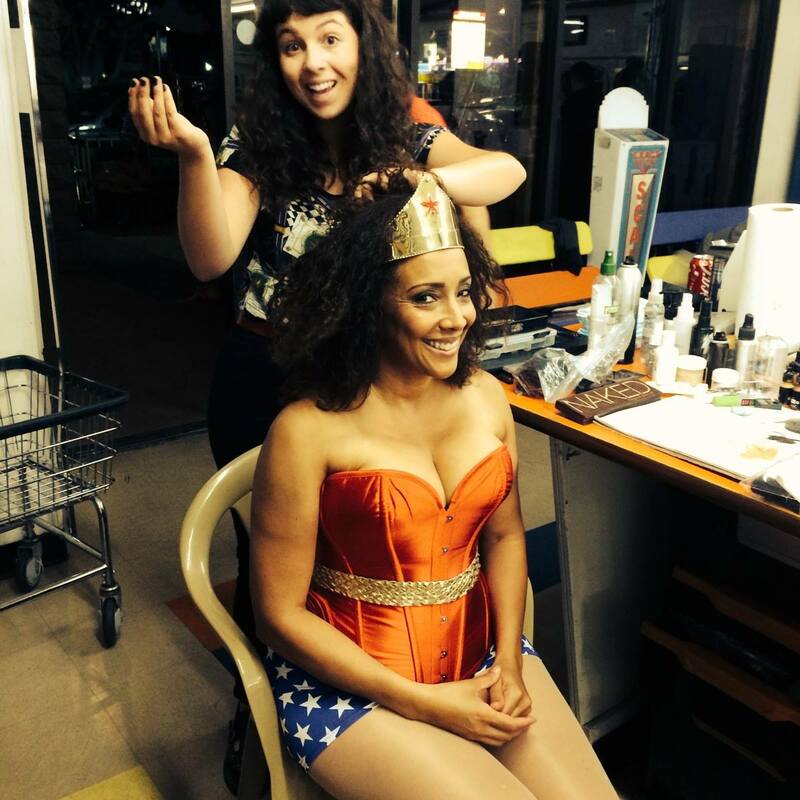 This past weekend I got to play Wonder Woman for a project directed by Paul Kowalski. So cool… so much fun! And now, I’ve crossed off #19 on my bucket list. Honestly, who would have ever thought a Latin/Black chic from the ‘hood could ever be Super Woman? Just goes to show you — you gotta dream. And if you’re gonna dream, might as well dream big! Woohoo! Here’s another big item I crossed off my list a while ago….Sky-Diving! Curious — what’s on your list? ← Congratulations to Malala on Winning the Nobel Peace Prize! That is awesome, my friend. Good for you and what a cool experience! Well…..this is great! We all have different quirks and that’s what makes us all SO interesting. You can definitely rock the outfit, so why not! 🙂 Your post made me look at my own Bucket List. On my list is a visit to Nicaragua to visit the little girl I sponsor through World Vision. Not sure how and when that will happen, but dreams can come true. Look at you…flying around in that cape. Oh WOW! What a great bucket list item and those kinds, the ones that really matter always find a way to happen! Of that I’m sure! Such a beautiful goal and I wish you complete joy when you finally do meet. Make sure you blog about it so we all get to enjoy! Here’s the thing about bucket lists, you don’t need to know the how and the why, you just gotta list it and believe its something you really want to get done. It’ll happen. It has too! The outfit looks perfect on you, and congrats on the skydive!